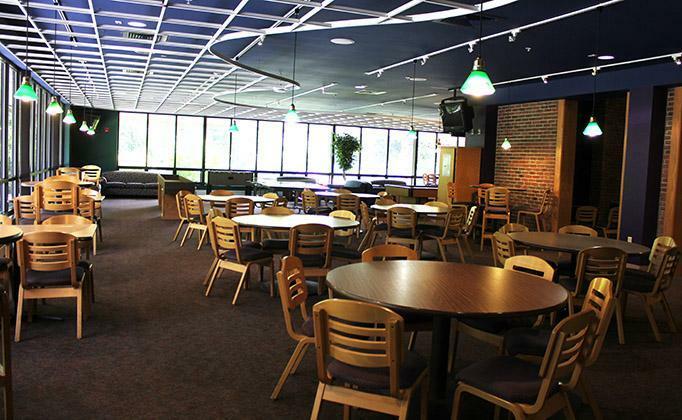 The Bluffton University dining services, operated by Sodexo, provides meals in Marbeck Commons, a snack bar in Bob's Place as well as full service banquet and catering services. Visit the dining services site for daily menus, special events and promotions. Come to Bob's to cure your hunger, get a caffeine fix, send an e-mail, shoot some pool, or watch TV in front of the fire. We have several different options so you will always find what you are craving! Take a look below for just some of what we have to offer! FRESHENS, the fresh food studio, is now in Freshens at Bob's place. You can purchase smoothies made with Greek yogurt, rice bowls, salads served in crispy bowls and more! Some other snacks and drinks at Freshens to cure your hunger/thirst are... ice cream, hot pockets, chips, candy bars, pop, and coffee. 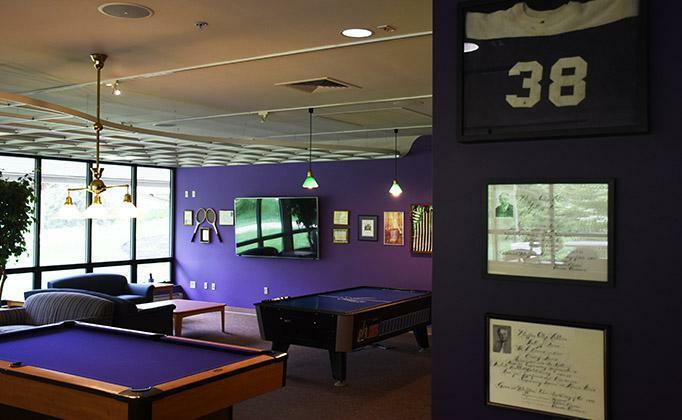 Bluffton Dining Services offers residential students a choice of three meal plans. An additional plan is available only for commuting students. See below for a complete description of plans, related policies and costs for the 2019-20 academic year. Commuters have the option of purchasing Beaver Bucks in any amount. Beaver Bucks can be used for meal purchases in the Commons or for a variety of to-go meals, sandwiches, burgers, chicken, snacks, beverages and other convenience store items. A Commuter only meal plan is also available which provides commuting students with access to 5 meals per week and $100 Beaver Bucks per semester. Cost: $1,068 per semester. The meal exchange program is offered with all meal plans. This convenient, flexible option will allow you to use your dining plan in exchange for a meal at Freshens in Bob's Place, 2:30-3:30 p.m. and 7-8:30 p.m. Monday through Friday. Meals are offered on a per week basis and do not roll over from week to week. The meal week runs from Monday breakfast through Sunday dinner. 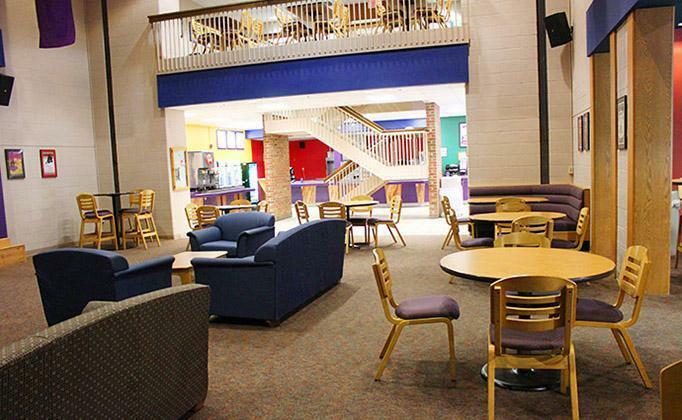 Students are permitted to use available meals on their meal plans for family, friends or guests to eat in the Commons. This option is not available for meal exchange in Bob's Place. Only 2 meals are served on Sunday. Residential students who do not select a meal plan during the room draw process or during summer orientation will have the Premier 15 Plus plan selected for them. Changes must be made BEFORE the start of classes. First year students must select between the Full Value 20 Plus or the Premier 15 Plus meal plans for the fall semester. First year students may select the Basic 10 Plus meal plan beginning in the spring semester. Changes must be made BEFORE the start of classes spring semester. Returning students will select their meal plan during the room draw process in April. Returning residential students who do not select a meal plan during the room draw process will have the Premier 15 Plus plan selected for them. 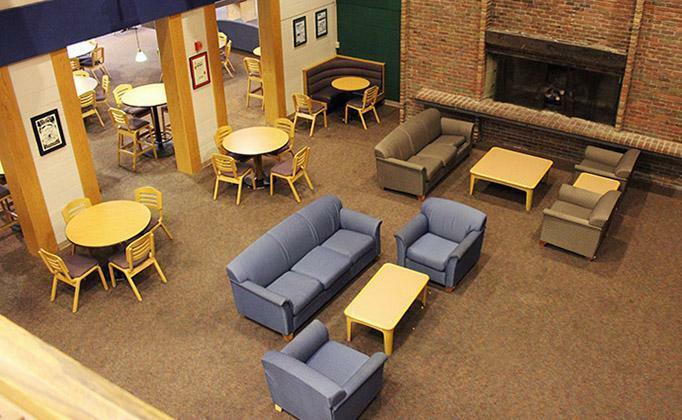 New students will be able to select their meal plan during their summer orientation session. Commuting students and students who do not select meal plans at summer orientation may do so at the business office. This should be done prior to the first day of classes. Students may change meal plans for the upcoming semester at any time prior to the start of classes for that semester. A student may not change plans for a current semester. Dining services will then be notified of the change. Exceptions to this policy can only be made by the dean of students. Meal Plans may only be cancelled when a student withdraws from the university or at the request of the dean of students. Students who lose their ID card should report the loss to the One Card Office (Technology Center - ext. 3459). The business office accepts payments for One Card replacements. Persons needing an ID card should go to the technology center front desk. The replacement cost for a new card is $10. Should a card be lost when the One Card Office or business office is closed, students may report it to dining services. Dining services can issue a temporary card for meals. Any meals taken on a temporary card that are in addition to those allowed by your meal plan will be deducted from your Beaver Bucks account or charged to your account at the casual rate. Bluffton University is not responsible for any loss, theft of misuse of the ID card. It is the student's responsibility and should be safe guarded at all times. A valid student Bluffton University ID is required in order to enter The Commons for meals or for students to use Beaver Bucks. Students without a valid Bluffton University ID will not be permitted to enter. They may pay the casual meal rate to gain access to the dining area. The ID is non-transferable and can only be used by the student to whom it was issued. Students who have not yet registered for classes after the start of the semester will not have their meal plan selection authorized. If they wish to eat meals in The Commons, they must pay the casual rate until they have officially registered for classes. There are no refunds for meals purchased during this time period prior to the authorization of the meal plan. Beaver Bucks are an alternative to cash that are placed on your student ID. They can be used as cash to purchase any of the wide variety of food, snack and beverage items served in the snack shop or to pay for additional meals in The Commons. There are two kinds of Beaver Bucks; the ones that come with a meal plan or the ones that may be added by the individual. TWO KINDS? WHAT IS THE DIFFERENCE? Beaver Bucks that are part of a meal plan are designed to give students greater flexibility with their dining options. They are not cash, but can be used like cash for food and beverage items in the snack shop. Since they are part of the meal plan, unused Beaver Bucks of this type expire at the end of the academic year with your meal plan. Beaver Bucks that are placed on the ID by the user are just like cash. They can be used in Bob's Place and at Freshens, and will be good at other locations in the future! Unlike the meal plan option, these Beaver Bucks are available from year to year as long as you are a student, faculty or staff member of Bluffton University. CAN I USE BEAVER BUCKS ANYWHERE ELSE? Beaver Bucks can be used in The Commons to pay for additional meals for yourself, parents, friends or guests. HOW DO I GET BEAVER BUCKS? All of the meal plans provide an amount of Beaver Bucks each semester. All students or their parents have the option of adding Beaver Bucks to the ID card regardless of the meal plan chosen or even if the student is not on a meal plan. WHERE DO I GO TO ADD BEAVER BUCKS TO MY ID? Students may add Beaver Bucks to their ID at the cashier's window in the business office ($10 minimum). Students, or even their parents, may also call the business office 419-358-3312 and have it charged to credit card if desired. DO THE BEAVER BUCKS ON MY ID ROLL OVER FROM SEMESTER TO SEMESTER? Beaver Bucks that are part of a meal plan will be applied to the student's ID at the beginning of each semester. Unused meal plan Beaver Bucks from fall semester will roll over into spring semester, but will not be available after the end of the academic year. WHAT ABOUT BEAVER BUCKS THAT I ADD ON MY ID? Beaver Bucks added by students not only roll over from fall to spring semesters, they also roll over from year to year for as long as the student is enrolled at Bluffton University. CAN I GET A REFUND ON ANY UNUSED BEAVER BUCKS? No. Unused Beaver Bucks cannot be refunded.